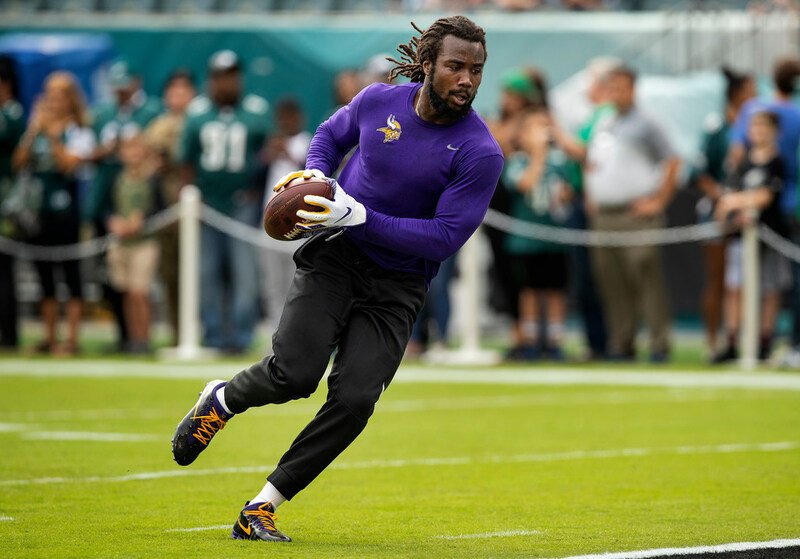 Dalvin Cook, whose hamstring injury has bothered him since the Sept. 16 tie in Green Bay, was officially listed as “limited” in Wednesday's practice. Cook, whose hamstring injury has bothered him since the Sept. 16 tie in Green Bay, was officially listed as “limited” in practice. His participation means it’s not farfetched Cook could return to the field on Sunday against the Cardinals. Four players did not practice on Wednesday: defensive end Everson Griffen (not injury-related), defensive end Tashawn Bower (ankle), safety Andrew Sendejo (groin) and left tackle Riley Reiff (foot). Without Griffen and Bower available, rookie Jalyn Holmes worked with defensive ends during practice. Holmes, the fourth-round pick, was a defensive end at Ohio State before the Vikings drafted him and moved him to defensive tackle. Reiff’s foot injury has bothered him since the Sept. 23 loss to the Bills. He exited Sunday’s win in Philadelphia during the second quarter and was unable to practice Wednesday. If Reiff can’t play, the Vikings would likely start Rashod Hill at left tackle and rookie Brian O’Neill at right tackle. Cardinals’ injury report: OT Andre Smith (hamstring), DT Robert Nkemdiche (foot), G Mike Iupati (shoulder), OT D.J. Humphries (knee), TE Jermaine Gresham (Achilles), WR Larry Fitzgerald (hamstring/back) and S Tre Boston (shoulder) did not practice. Mailbag: When do Vikings need to make paying Thielen a priority?